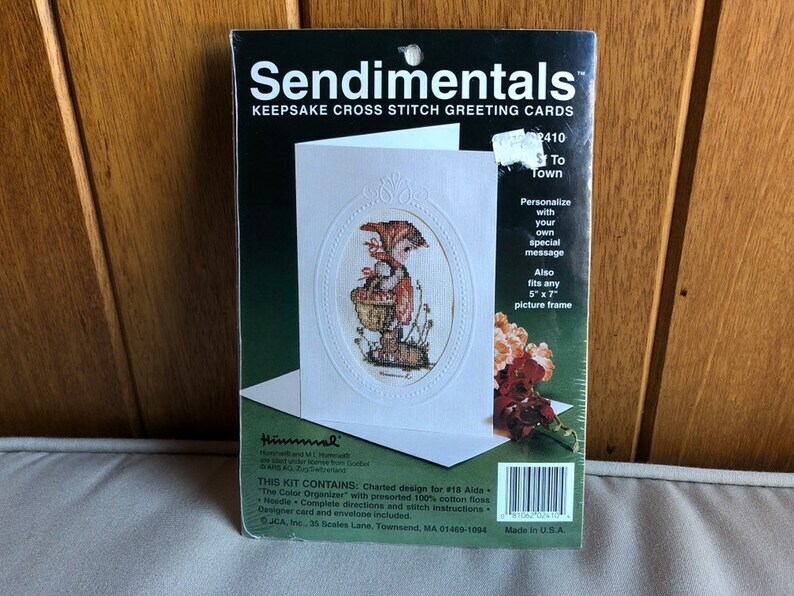 This cross stitch kit by Sendimentals makes a charming card based on a design by Sister M. I. Hummel. If you don't want to use it as a card, the finished cross stitch also fits a 5 x 7" frame. This vintage kit is still sealed in the plastic. It's in great condition!